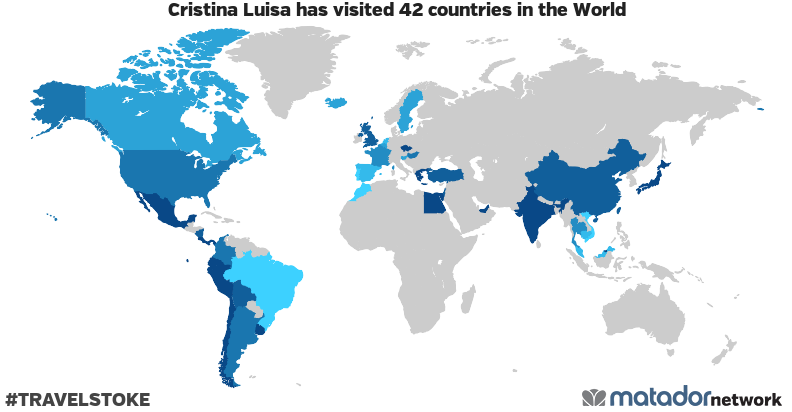 Back in 2005, I had the chance to visit one of the world’s oldest UNESCO World Heritage sites. Teotihuacan, located about 45 minutes northeast of Mexico City, Mexico, was built by the Teotihuacanos sometime between the 1st and 7th century, A.D. Its massive structures include the Temple of the Sun, Temple of the Moon, and the Temple of Quetzacoatl. Colombian structure is impressive both in its history and its geometrical urban planning. My friend from Toluca took me to see these magical ruins, where I imagined what it would have been like to have lived in the Teotihuacan Valley when the Pre-Aztecan culture was flourishing. We climbed the narrow steps in the sweltering heat, reaching the top of the Temple of the Sun and admiring the breathtaking 360 view of the ruins and the surrounding mountains. I’m not sure how much time we spent at the Temple of the Sun, but as we headed toward the Temple of the Moon, we saw a group of nuns walking toward us, donning baseball caps in addition to their black wrap-around robes. The juxtaposition of the Catholic nuns with some of Mexico’s oldest, Pre-Colombian ruins struck me as a bit odd, but I’m sure my presence at the site was just as curious to them. I was definitely not expecting to find nuns there!!! Did they manage to climb the Pyramids? PS. The temples of Teotihuacan are not Aztec in origin, they were built by the Teotihuacanos, who were a mixture of many other civilizations, including the Mayans. By the time the Aztecs came to the Valley of Mexico, Teotihuacan was already abandoned. 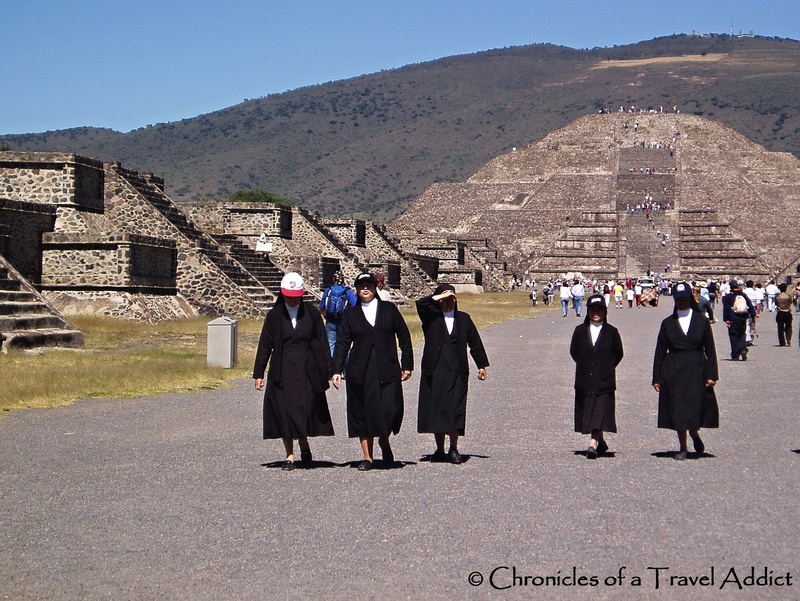 Nuns were the last people I expected to see at Teotihuacan, too! I didn’t see them climbing at all. That would have been an EXCELLENT photo! Thank you for your corrections. I had a feeling my history was jumbled a bit. I will revise the post accordingly. Gracias!